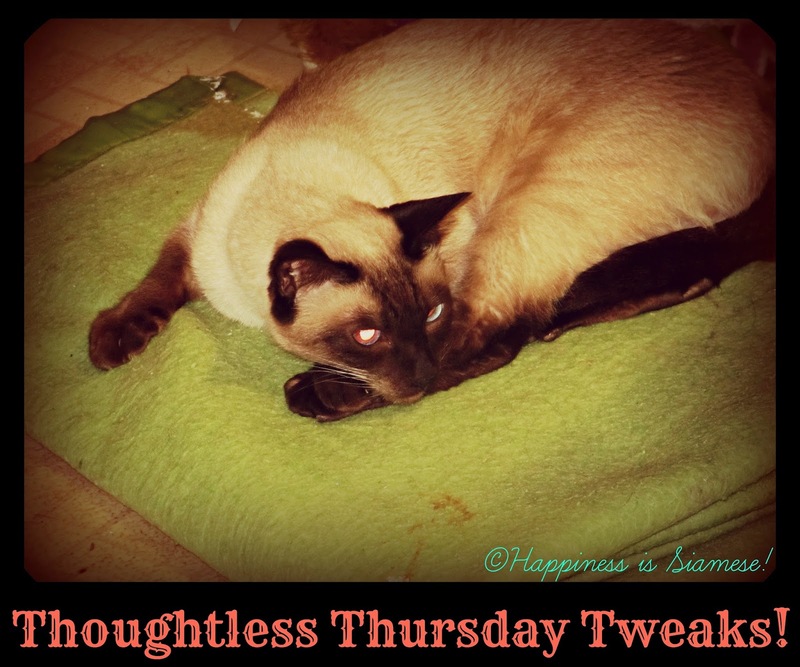 Today we are linking up with Ruckus the Eskie and Love is being owned by a husky for the Thoughtless Thursday blog hop. We are now on Instagram!! (I know I know...) Yes...just on the 12th...whatever, better late then never!! Anyway, you can view our page by clicking here. Feel free to like our posts so far and give us a follow!! Now, onto the blog hop. Tweak means to change things until it is just right. So this week, we have 2 photo's for you that we "tweaked". 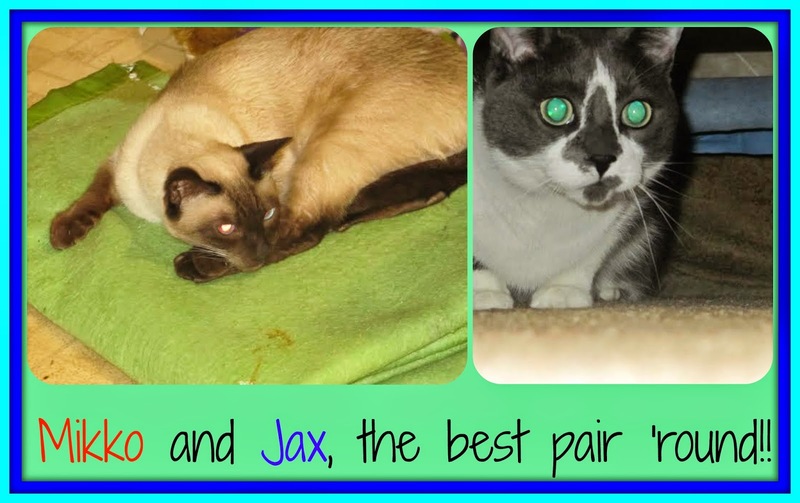 We took the photo of Jax sniffing Mikko, and put it through the magical generator of PicMonkey. MOL!! We have been very busy lately, and we have not got the chance to post Mikko'z Monday. So sorry for the inconvenience! We will be catching up next Monday. This week we are entering this hop with a few kitties from the Edmonton Humane Society . 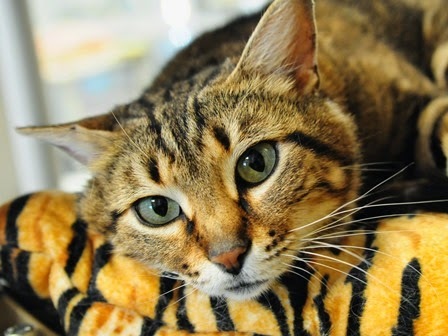 Momo is a male Domestic Short Hair, and he is neutered. He is 2yrs and 7 months old. And as you can see in the photo, Momo's coloration is Grey and White. Momo was added to the Edmonton Humane Society March 23rd, 2014. Volunteer comment: Momo is a handsome blue and white male with a wonderful white tail light, dancing golden eyes and a love of life! 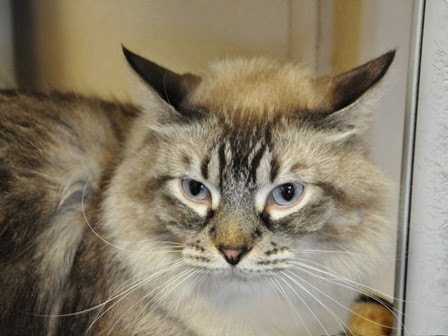 This cheerful, active guy loves to play with pompoms and have his soft, plush coat stroked. 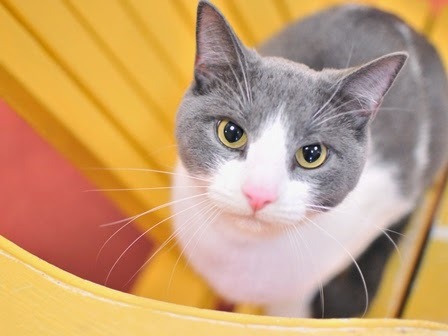 Momo, being a busy guy, isn't much into cuddling, but he really enjoys people and is friendly and happy to get to know you. 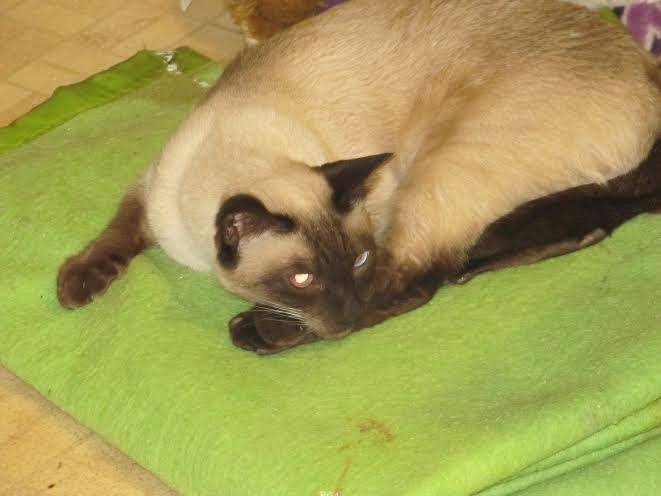 Morti is a Siamese/Domestic Medium Hair neutered male. His coloration is Lynx Point. Morti is 4 years old. He has just been added to the Edmonton Humane Society the 6th of this month! Layla is a female Domestic Short Hair kitty. She is 3yrs old and spayed. And, as you can see, her coloration is brown tabby. She was added to the Edmonton Humane Society March 21st, 2014. 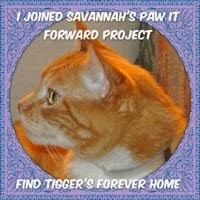 These 3 kitties are looking for a home, as many others are. Have a pawsome day, and don't forget to share these kitties! 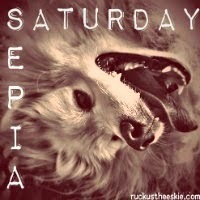 Today we are linking up with Ruckus the Eskie for Sepia Saturday!! OK so for Sepia Saturday today, we took the pictures we used yesterday and put them in a cool frame and made them sepia. Mikko's frame is called Polaroid Frame, and Jax's frame is called Drop Shadow. We use 2 photo editors for our photo's. 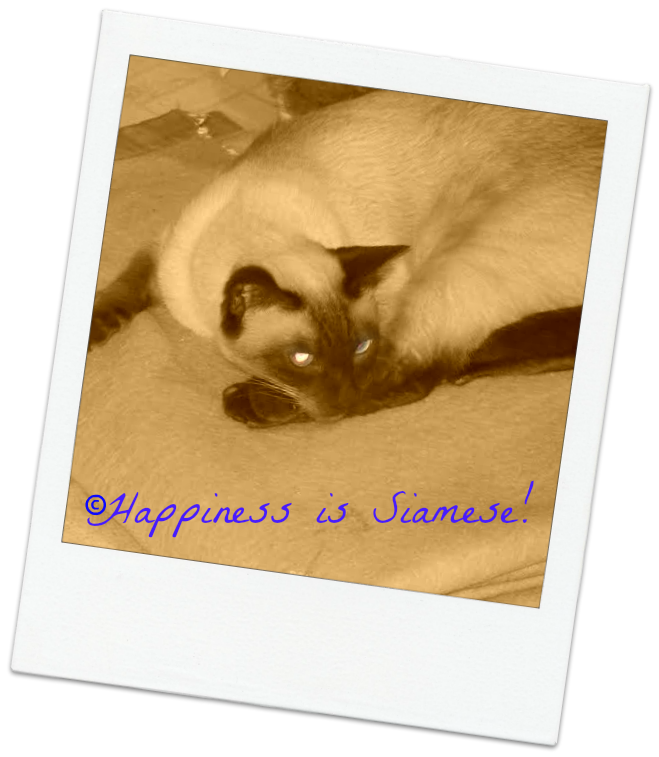 PicMonkey, and BeFunky. On our Mikko'z Monday post, you see that we have our photo's Cartoon-ized. 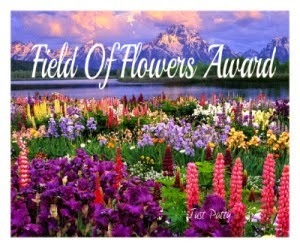 To do that, we use BeFunky. 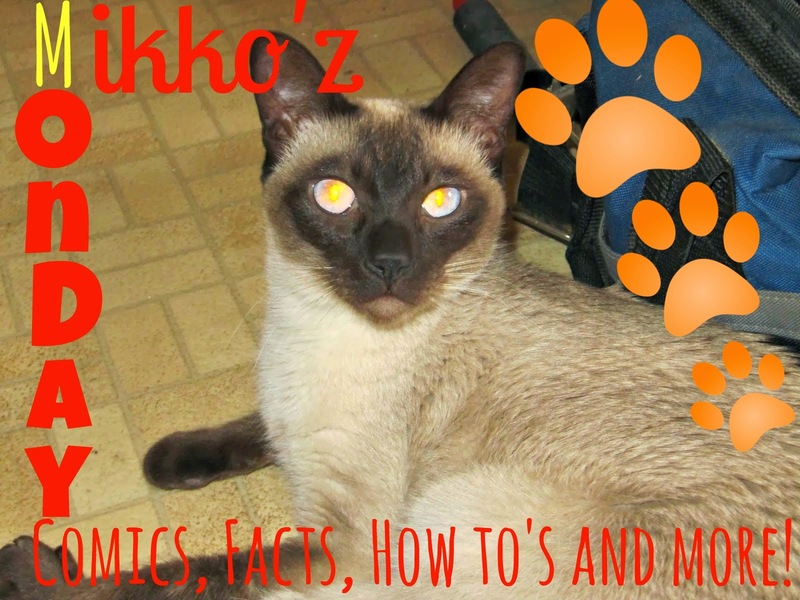 And the very first Mikko'z Monday comic post, we used PicMonkey for the cape. Anyway, Happy Sepia Saturday everyone! So sorry for the wait! We are busy and taking a break from our blog for a while. 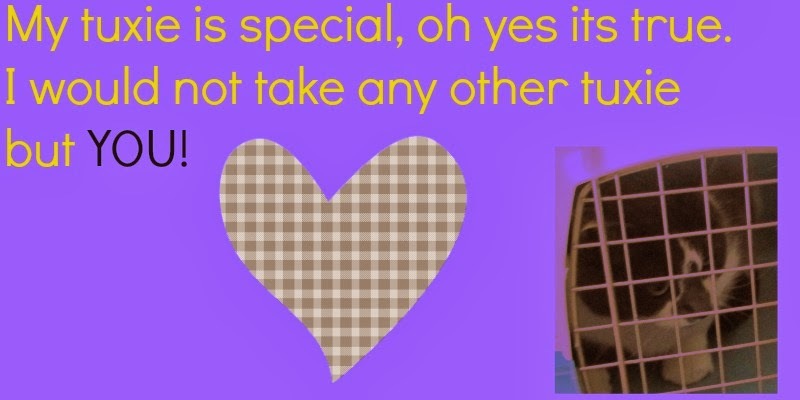 So we just thought we would post this for you. Hey everyfur!! It'z Mikko'z Monday!! Now, this is the continuation of last Mikko'z Monday! SM meets a super spy named Maggie..
"I will help you along the way, SM." Said the dog. "Why?" SM asked. "Because my brother has betrayed me, but I think something corrupted him, he was never evil. He was always good, sometimes mischievous, like we used to be. But now, he has betrayed me by going behind my back and saying that I tried to do whatever to him..I cant even remember what he said about me, it was so long ago." SM felt sorry for this dog. "Sorry to hear that. 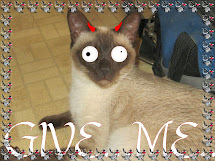 He captured my girlfur Diamond, and she is counting on me to save her. I will do anything to get to her. What is your name?" "Maggie." She said. "Well then Maggie, lets get going!" He said. "Not so fast. We have to save him, and this is how,"—Maggie pulled out a dart—"we have to get this into one of his legs, then the corruption will break and he will be my brother again." SM nodded and they started back towards the labyrinth. SM wants so badly to save Diamond, and now he wants to help Maggie too. *Ahem* Now, where was I? Ah yes. As they came back to the labyrinth, Super Kitty Mikko couldn't see a door or an entrance anywhere. But then, he focused on a spot where there was a black brick on the wall. He squinted, and then, very slowly, the spot on the wall with the black brick started to ripple and tremble. SM couldn't help but gasp a bit as the walls turned black. 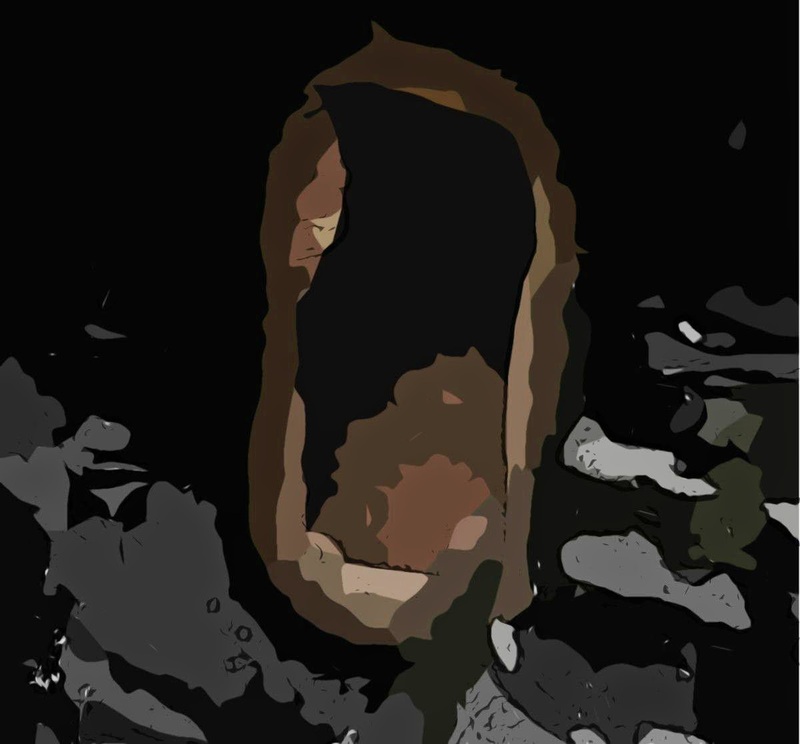 He has seen secret entrances appear before, but never like this. Maggie snickered as they walked through the secret entrance. Maggie stiffened as they heard a male voice say "Now, just hold still and let me get a piece of fur!" Then they heard a female shriek. Mikko nearly jumped out of his fur and skin, at the sound of Diamond's cry. "Leave me alone!!" Diamond cried. "I need a piece of your fur!!!" Jack cried. "TO BAD!!!" Diamond was enraged and scared. Then the door burst open and a black dog and...SM!!! SM was here to save her!!! But...why was he with a dog? "LEAVE HER ALONE!" The dog cried. Its voice was female. Jack was in utter shock. He was staring wide-eyed at the black dog. "M-Maggie?" Maggie...the name suited her. 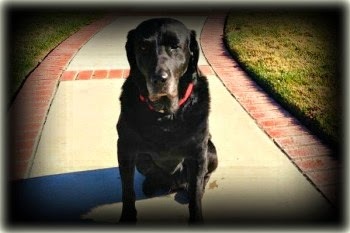 With Jack distracted, SM —Her SM— grabbed an object from the dog —Maggie— and dashed towards Jack. Diamond saw that he was holding some kind of dart. SM just about stuck it into Jack when the Mastermind grabbed super Mikko, her Mikko, and held him by his cape. "You think you can get that into me?" He said, then he grabbed the dart and flicked SM to the side like he was a softball. Then he tossed aside the dart. "SM!!" Diamond shrieked. Maggie snarled and lunged for the dart. She grabbed it and jumped on top of the cage Diamond was in. Wow! Diamond thought. Now it was Jack's turn to snarl. Diamond scuttled to the farthest corner of the cage and curled into a ball. SM was staggering to get up. Diamond moved over towards him. "Mikko, the lock! Its right beside you!" She whispered as quietly as she could. SM got to his feet without a sound, then used his claw to break open the lock. Soundlessly, Diamond sneaked into a corner and stayed there. "I thought you left after the 'incident'?" Maggie's lip curled. "Nope, I am right here, fur and all. "Jack attempted to climb the cage, but failed. "Ouch!" Maggie said. "Hey SM, Jack over here hit his head real hard, now would be the time for the dart. You gotta come help." "Coming!" SM padded over to Maggie and helped her put the dart into Jack's leg. I hoped you all enjoyed that post!! At the end its a little long, but its worth the read!! Isn't it getting very fierce? Anyway, time to end this long long post! Today is the Pet Parade! 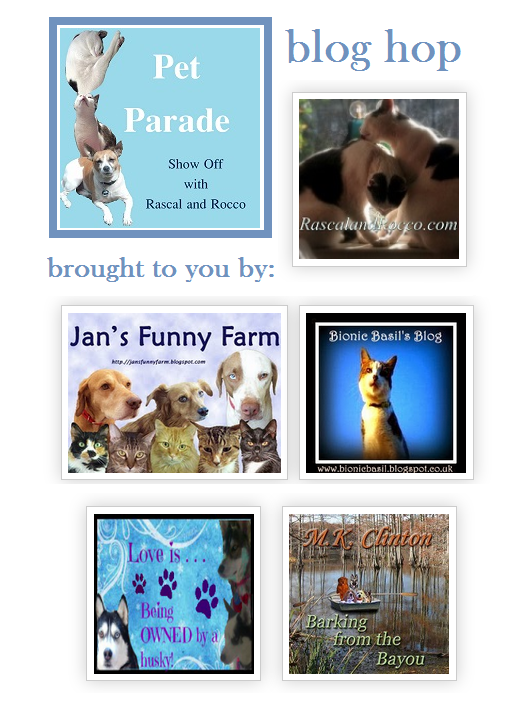 Hosted by the mischievous Rascal and Rocco, and a bunch of co-hosts, Barking from the bayou, Love is being owned by a husky, Basil the Bionic cat, and Jan's Funny farm ! Today for the Pet Parade, we have some NEW PHOTO'S!!! It's like he sleeps with his eyes open or something..cause I could have sworn he was asleep!!! Now Jax. He has been out and about SO much more lately! But if you make any sudden moves, or if something makes a loud noise...it's PISHOOM! He dashes right into my bedroom and under the bed. 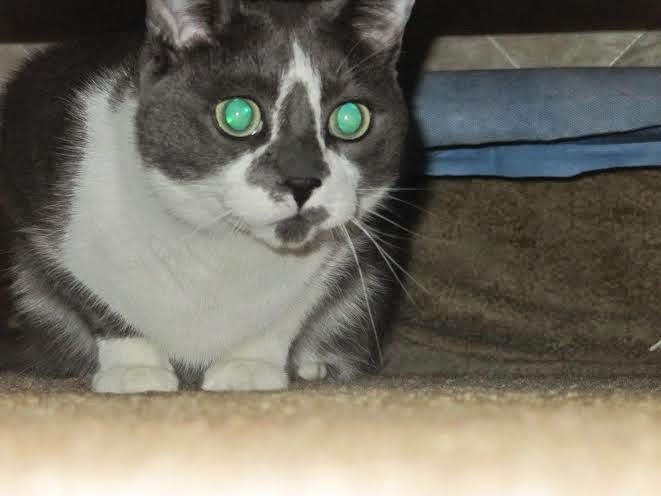 I took this photo of him under the bed. The beige on the bottom of the pic is my bedroom carpet. 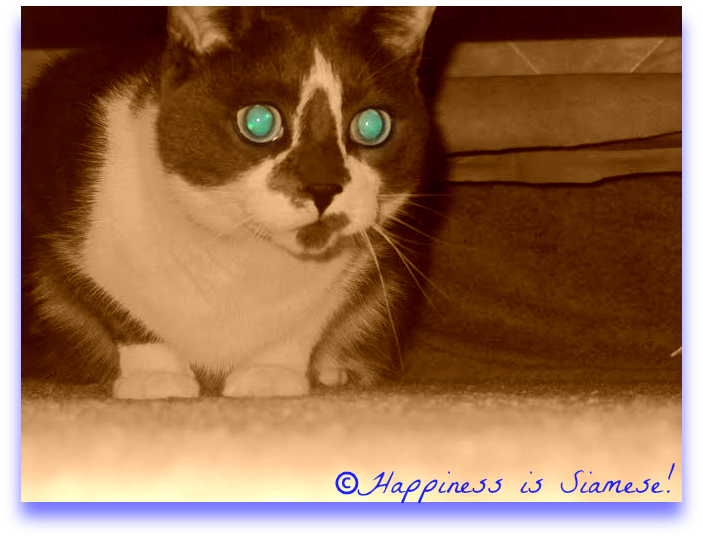 Its funny, when I take a photo of Mikko, sometimes his eyes get the glare and they turn out yellow. 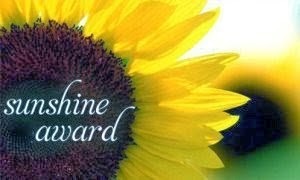 ALWAYS yellow! Never blue like Jax's eyes. And Jax's eyes NEVER turn anything else but the blue! And to finish it off, we made a little collage of the Best pair 'round! 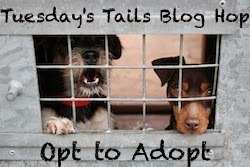 Today we are entering the Tuesday tails blog hop. The hosts are Dogs 'n' Pawz, Barking from the Bayou, Love is being owned by a husky, Lola the Pitty, and Talking Dogs Blog. 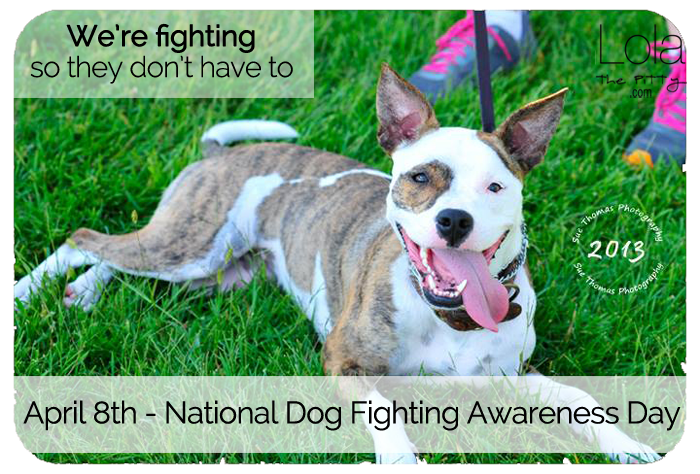 The National Dog Fighting Awareness Day badge. "We're fighting so they don't have to"
Lyric is a female PitBull. She is 49 lbs and she is an adult, about 2 years old. Lyric is vaccinated and she is Desexed as well. She is good with small dogs, children, and she hasn't been around cats. Her nickname is Lyry, and she is a medium sized dog. Lyric is house and crate trained, walks well on the leash and while she is walking good, she loves it! 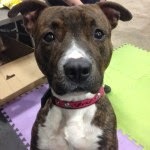 To see Lyric on Prairie PitBull Rescue, click Here! Hey everyfur! Thats right, you guessed it! 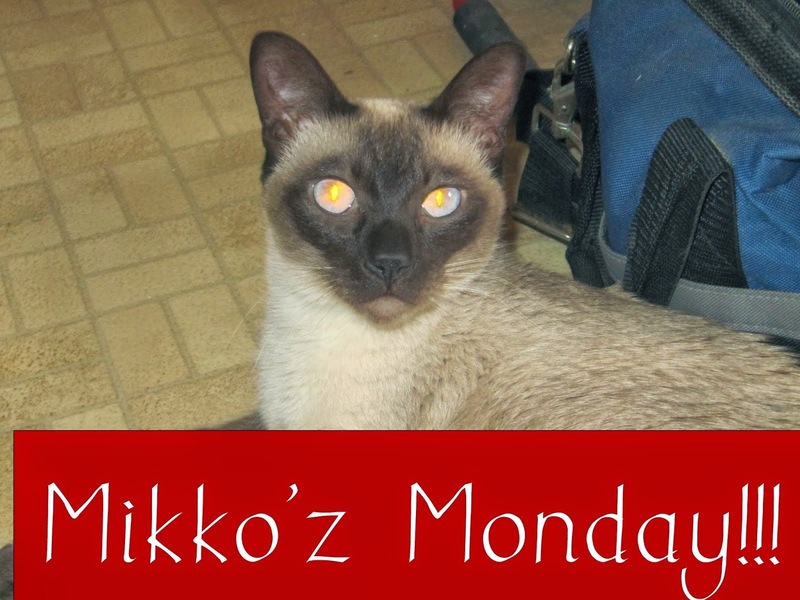 It is Mikko'z Monday, the day you have all been waiting for! 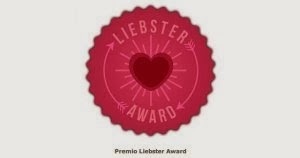 Thiz iz our new Mikko'z Monday badge! But we wont uze it if no body likez it. So, which ones do youz like better? Our old one (bottom), or our new ones (top)? Honesty is the best policy!